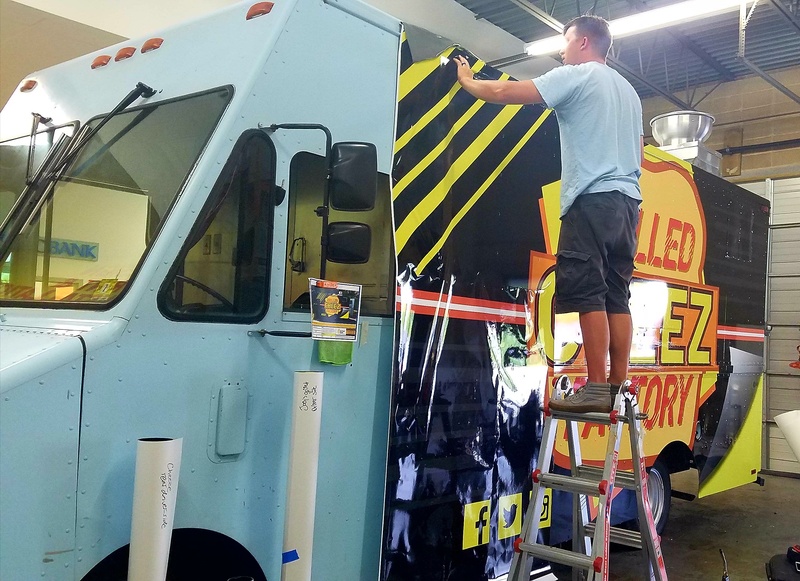 As a Food Truck owner you are looking for the most cost-effective way to attract customers all while offering a visually appealing experience for your concession goers. At Sunrise Signs, our in-house experts help you execute your vision. Our consultative approach allows us to deeply understand your Food Truck business goals and bring your design ideas to life. We understand your need for a quick turnaround - after all your Food Truck is your income generator. That’s why we expedite the wrapping process so you get your Food Truck back as quickly as possible, usually within a matter of days. How Impactful Are Food Truck Wraps? Just as when you are wrapping a minivan or pickup truck, you have a variety of choices for your wrap coverage. We’ll help you choose an ideal option suited to your budget, design, and business goals. The most common coverage and design for Food Trucks would be the full wrap coverage. A full wrap covers your entire truck in vinyl. Typically, a full wrap features your logo, business name, and photo-realistic images or high resolution graphics. 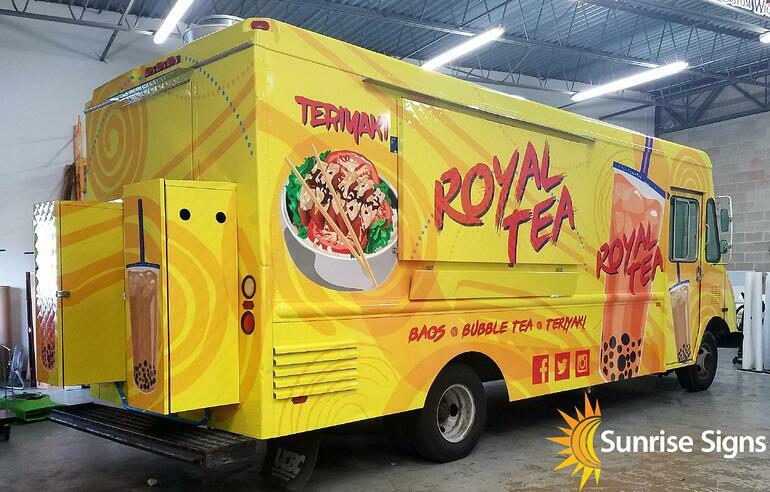 Full wraps are ideal for Food Trucks because it keeps the design clean and complete.Full wraps are also great for box trucks or Step Vans that have been repurposed into Food Trucks because you can fully cover the previous lettering and graphics that may still be present. Partial Wrap would be another coverage option. They tend to be more budget friendly as you are using less vinyl. Usually, a partial wrap covers only the sides or back of your vehicle. Partial wraps help you bring focus to one or two design elements, such as your logo or name, and a few smaller images. 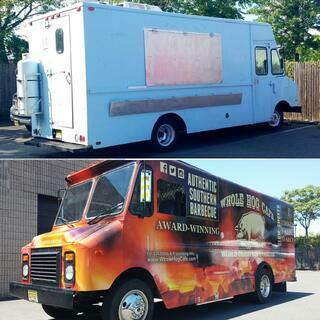 Cut Graphics and Lettering is the final option for your Food Truck design. These provide the least amount of coverage while still providing information and impact for your brand in the most cost effective manner. 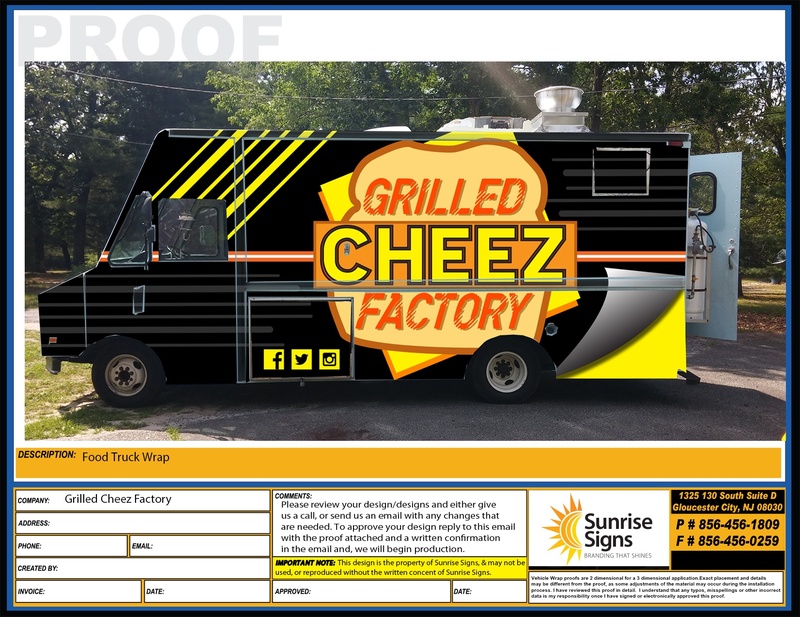 Once design is complete and approved our shop will get your Food Truck on our install schedule and start the print and production process. Our wraps are made of large-format graphics printed onto high-quality pieces of adhesive vinyl using latex printers and laminated with UV protective laminate. Since Food Trucks come in many shapes and sizes it’s important that your design is tailored to your vehicle type. Since a professional from our team installs them, your wrap application will be consistent across your entire fleet. Our South Jersey location is convenient to businesses in Philadelphia, New Jersey, Delaware and southeastern Pennsylvania. However, our national network of installation experts can install our vehicle wrap designs anywhere in the country.